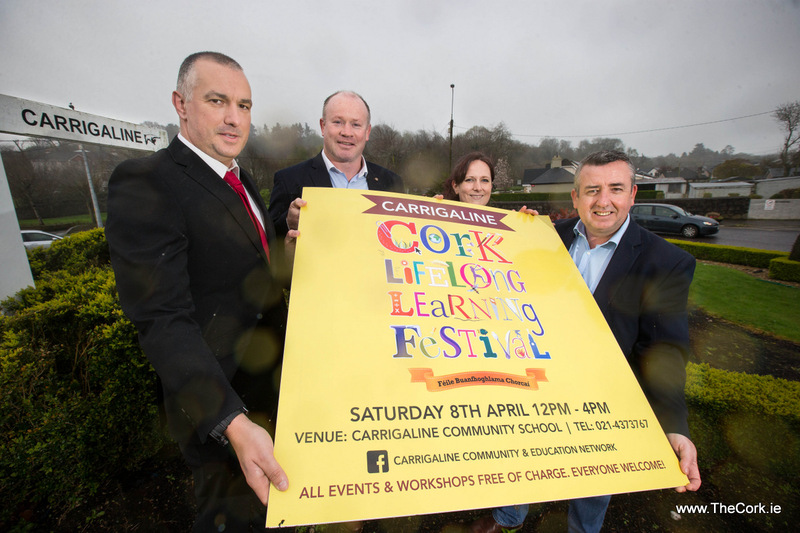 The eagerly awaited 15th Cork Lifelong Learning Festival will take place from Monday 19 – Sunday 25 of March 2018. The annual festival has grown year on year since 2004 and lives by its motto of ‘Investigate, Participate, Celebrate’, with the public encouraged to do just that by trying out new experiences, participating in events and enjoying demonstrations of skills both new and old. File photo from 2017 – Gene Cahill, Adult Education Carrigaline Community School, Former Ireland and Munster rugby star Frankie Sheahan, Samantha Murphy, Family Support Centre Carrigaline, and Ciaran Lynch, Cork ETB. A week of hundreds of free events are aimed at all ages, from the very young to the young at heart, and all Lifelong Learning Festival events are open to all. The exciting programme includes performances, poetry, workshops, walks, displays and demonstrations, and really does have something for everyone. The only limit is your appetite to try something new. Some events can be in high demand so check the programme to see if you need to book. Events, which aim to be accessible to all, take place right across Cork city, and into the county, in a variety of venues indoors and out, including shopping centres, libraries, museums, community and resource centres, parks, colleges, private businesses and on the streets. Newly appointed Festival Organiser Siubhán Mc Carthy says: “Cork loves learning and to prove it we have a packed programme of free, accessible events open to all, regardless of your learning abilities or ambitions; I guarantee you’ll find something during festival week that you want to know more about. Learning is not just about gaining qualifications, it’s also about making life more fulfilling and enjoyable and I passionately believe in the power of knowledge to change lives for the better”. This year’s festival includes four free seminars covering subjects as diverse as social inclusion to entrepreneurship and six ‘Learning Factory’ events across the week, in conjunction with CIT, which give an insider’s look at some of Cork’s most innovative businesses – including a guided tour of Inniscarra Dam. All events are hosted by volunteers be they individuals, community organisations, private businesses, schools or colleges. The festival is a key part of the City’s strategy of making Cork a Learning City. Its success was recognised by UNESCO when Cork was one of the first 12 cities in the world to receive a Learning City Award in 2015 and Cork recently hosted UNESCO’s 3rd International Conference of Learning Cities in September 2017.